Welcome to our single day “Introduction to Fly Fishing School!” Our classes are held every weekend from the middle of May through October and provide a safe, fun, and memorable fly fishing experience for men, women, and children (ages 10 and up) even (especially) if you have never fly fished. All you need is a good attitude, an open mind, and a willingness to learn! This introductory class will provide both novice and experienced anglers a crash course in the necessary skills needed to become a successful and self-sufficient angler. Students will spend an action packed day in a both a classroom setting and semi-guided groups. 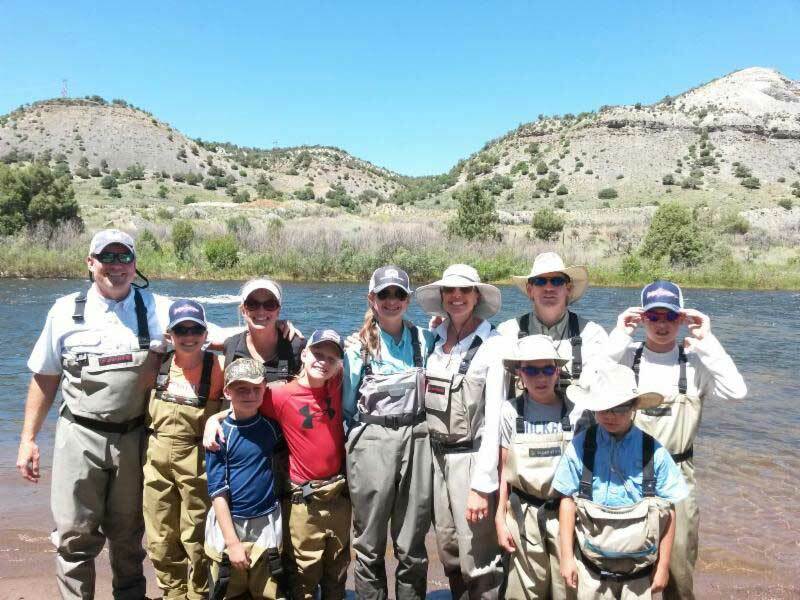 Students will begin with a one-hour introductory session learning basic fly fishing techniques with a focus on indicator nymph fishing. After the one hour instruction, students will gear up and break up in to small groups with their guides to hone their skills fishing on a nearby river. Give us a call at our Denver location for more details and to enroll. Over the past 5 years we have taught thousands of students how to fly fish, and we are constantly refining and improving our system. Schools are held every weekend and can be scheduled at your convenience or offered as a gift certificate. 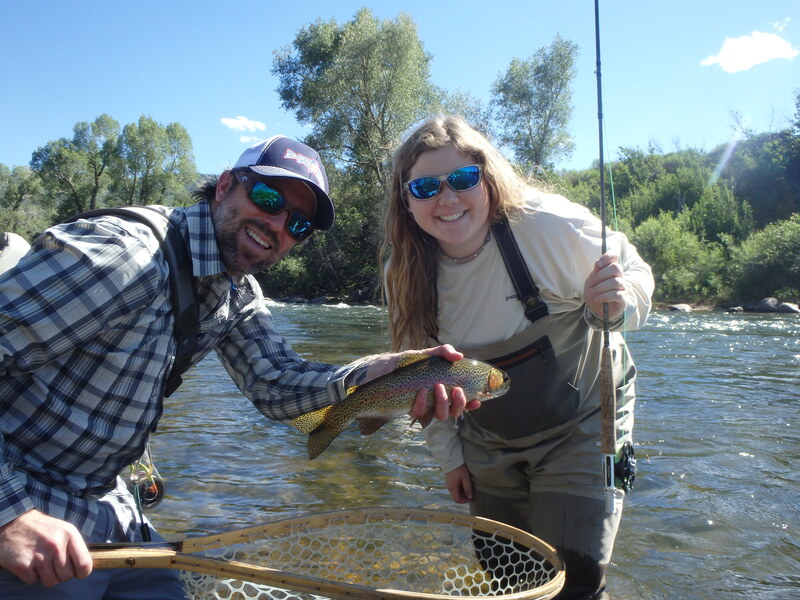 Our Introduction to Fly Fishing is a fantastic way to get a jump start into fly fishing, correct bad casting habits, and/or brush up on your fishing skills. No previous fly fishing experience is required and we provide all the core gear items if you do not have them (wader, boots, rods, reels etc.). All students are required to hold a valid fishing license for the day of class and are responsible for all terminal tackle (flies, leader/tippet, weights & indicators). 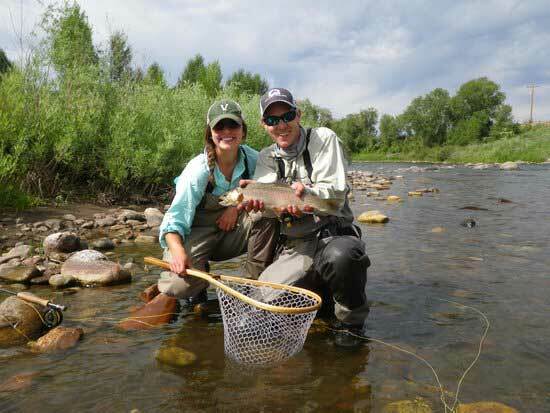 Class Dates: Fly fishing schools are held every weekend May through October. Location: South Platte River at Deckers, Nighthawk Hill Campground.